Aaron and Bob are great to work with. Very professional! Good job with the roofing but clean-up could be more precise to protect neighbors property. would recommend. These guys are the best possible quality at the best possible price! They treat everyone extremely well! 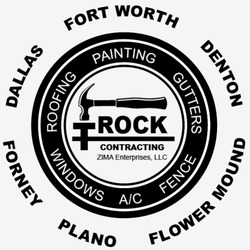 T Rock Roofing & Construction will always go the extra mile. Professional, kind and knowledgeable. Thanks for coming out so quickly! Less than 2 hours and our problem was fixed.